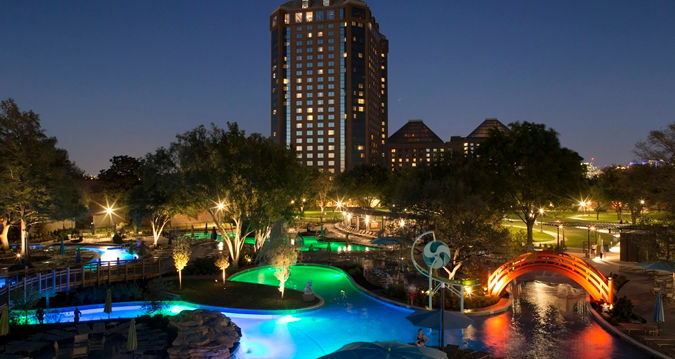 For 2018, ACRM returns to Dallas and the beautiful Hilton Anatole. The Anatole is itself a museum and the perfect venue for bigger and brighter scientific research and collaboration. 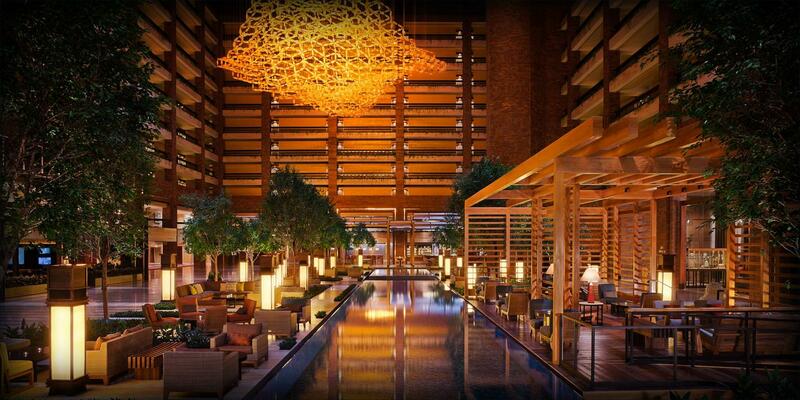 Spanning 45 lush acres, just north of downtown, Hilton Anatole is a Dallas icon in the vibrant Design District and is equal parts hotel & museum. The Anatole features four exclusive dining venues, impressive meeting spaces and elegant guest rooms and suites. Indoor and outdoor facilities include V Spa, Verandah Health Club, the new JadeWaters resort pool complex and even a private Sculpture Park. Rooms still available. 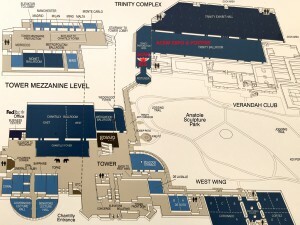 Room choice availability is subject to availability at the time of reservation. Please also check out our overflow hotel and other local hotel options for the best available rate. “SOME” nights may be sold out of regular/discounted ACRM room rates, but even more beautiful/premium rooms are still available at a Non–ACRM discounted rate. Do not worry, we have negotiated additional hotels to accommodate your stay. Please check below. 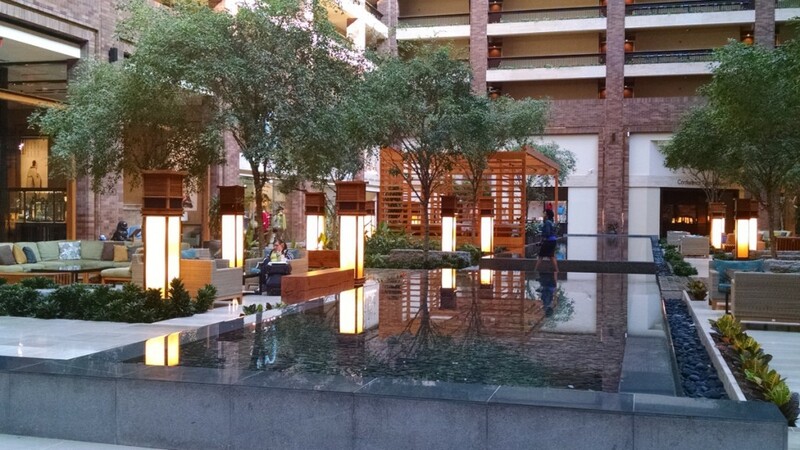 The Hilton Anatole in Dallas is an extraordinary venue & the perfect scene for the collaboration, in-depth learning, and connections made at ACRM Annual Conference. The space is lovely, showcasing the largest art collection of any American hotel, with works ranging from paintings and sculpture to a piece of the Berlin Wall. There is even an audio-guided 1-mile Art Walk. Open and inviting, the Anatole is designed for artful collaboration. Lots of public seating for impromptu meetings, two full-service restaurants, two counter-service cafes, a contemporary bar, shopping, spa, outdoor circuit trail, world-class gym, and more—all onsite. New JadeWaters resort pool complex with a leisure pool, lazy river, luxury cabanas and a splash zone with two 180-foot slides. PLEASE NOTE: Jade Waters was open 2017 from Memorial Day to Labor Day, but they are considering opening Mid Spring Through Early Fall for 2018. From stylish guest rooms to elegant suites, choose the space that is right for you at Hilton Anatole. All rooms offer thoughtful amenities including comfortable beds, WiFi, and HDTV. Want an upgraded experience? Select an executive room or suite and benefit from access to the Executive Lounge with complimentary breakfast and refreshments. Plug in to AnatoleArt.com on your cellphone or tablet to enjoy a variety of art exploration activities and self-guided tours. Extend your stay and discover Dallas! Below are just some of the exciting and entertaining attractions this city has to offer. Located on the shores of White Rock Lake, the Arboretum’s 66 acres include a complete life science laboratory with endless potential for discovery. Located in the center of the Dallas Arts District, this museum features permanent and rotating exhibitions of arts from China, Japan, India, and Southeast Asia. NorthPark Center is the ultimate shopping, dining and entertainment experience in the Southwest. It offers the finest collection of more than 235 stores and luxury designer and trendsetting boutiques. Located in the heart of the Dallas Arts District, the museum has a stunning collection with more than 22,000 pieces, spanning the third millennium BC to present day and including art from around the world. It also offers a 3.3-mile (5.3 km) self-guided Art Walk. The Museum presents the social and political landscape of the early 1960s, chronicles President Kennedy’s assassination and its aftermath, and reflects upon his lasting impact on our country and world. The House of Blues is where food, music, and art intersect! They offer live music and iconic southern dishes such as New Orleans jambalaya and house-smoked Carolina pulled-pork barbeque amid an eclectic decor of folk art. The Dallas World Aquarium features both indoor and outdoor exhibits, ranging from the rainforest exhibit to the Mundo Maya cenote. Check out some of their conservation projects, or take a look at the aquarium portion, which features interesting and exciting marine life like ribbon seadragons, the magnificent foxface, and more! Though the museum’s exhibits and programs, visitors learn about the discrimination, deep-rooted hatred, and the attempted annihilation of Jewish people and the systematic persecution of others. Get in the mood! Visit Wild Bill’s Western Store for boots, hats, clothing, and accessories. Learn about these attractions and more, including travel tips, sights and entertainment, restaurants, and shopping, as well as discounts on airport transportation and coupons to local attractions. You can also get a city pass for attractions here. Offers 24-hour grab-and-go dining, including breakfast and lunch items like hot sandwiches, soups, and salads. Sushi bar open after 5 PM. Offers a refreshing twist on the contemporary American bistro, with hand-crafted signature cocktails, an extensive wine list, and local craft beers. Enjoy daily breakfast with an open-air cafe ambiance. Avanti Restaurant offers Italian and Mediterranean dishes with seafood, steaks, veal and homemade pasta as well as a Wine Spectator Awarded wine collection. Bread Winners Cafe offers brunch and baked goods. Meso Maya provides a culinary adventure into the fresh, earthy and bold flavors that are the heart and soul of Mayan and Mexican cuisine. For more than 40 years, S & D Oyster Co. has been serving up New Orleans-style seafood while staying true to old family recipes. Featuring upscale dining in a casual atmosphere, Abacus Restaurant offers contemporary global cuisine with Pacific Rim influences. 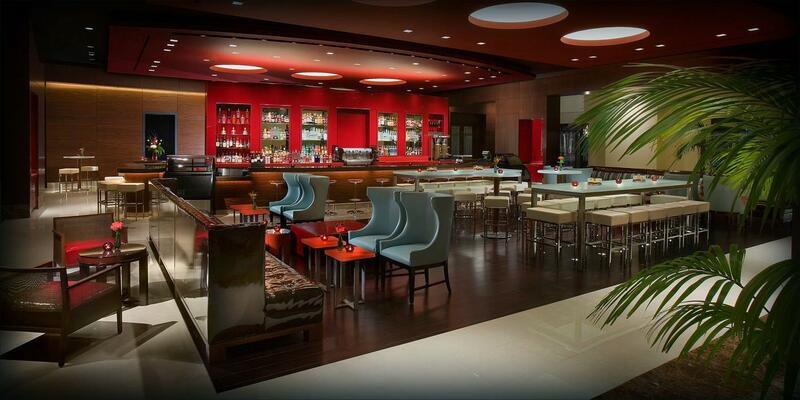 Open for breakfast, lunch, and dinner, Dragonfly is known for its innovative cuisine. Mercat Bistro is a contemporary European-style bistro in Uptown Dallas. Walk into a romantic setting that is inspired by some of the finest European design and culinary practices. Surf or turf? Get the best of both at Ocean Prime, along with stunning hand-crafted cocktails and world-class wines. A getaway for the senses, Truluck’s is all about fresh seafood, juicy steaks, succulent crab and delicious wine. Don’t see something you like? Check out more Dallas restaurants right here. DFW is the primary international airport serving the Dallas / Fort Worth metroplex and the largest hub of American Airlines. DAL is a city-owned public airport and the corporate home of Southwest Airlines. 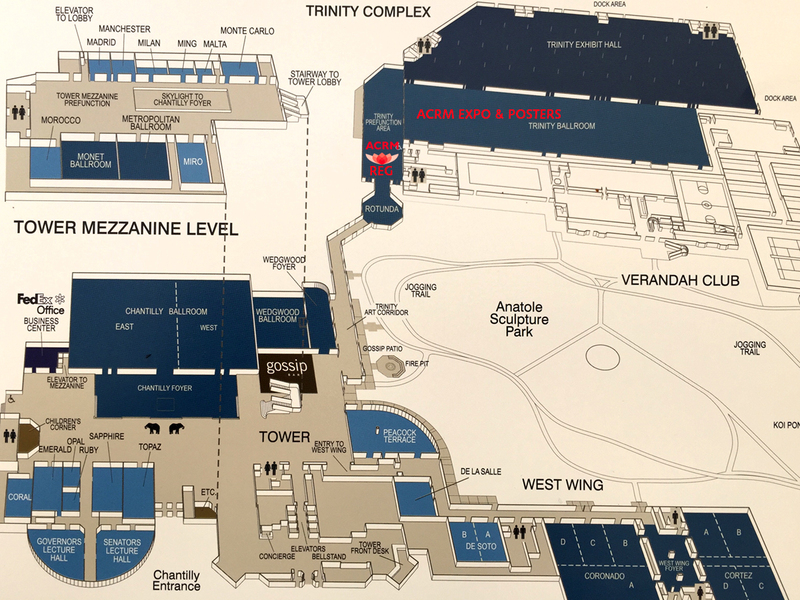 Taxi service at Dallas Love Field Airport is available on the lower level of Terminal 2. Taxi service at Dallas/Fort Worth International Airport is available on the upper level of Terminals A, B, C and E, and on the lower level of Terminal D. An Airport Guest Assistant will be available at the taxi stands between 8:00 AM and midnight. Between midnight and 8:00 AM, dial +1.972.574.5878 to request a taxi. To rent mobility and other medical equipment, delivered to your hotel, contact one of these local businesses for assistance. Ready Rental Sales & Service: +1.972.412.3500.